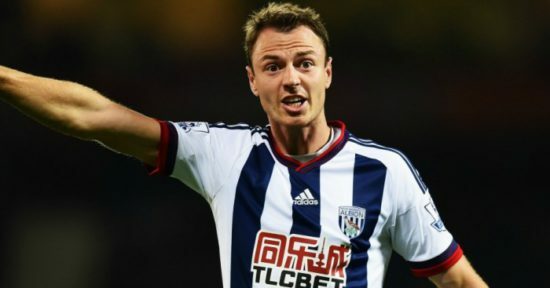 According to Metro, Manchester United manager, Jose Mourinho is mulling over a move to bring former Reds defender, Jonny Evans back to Old Trafford in a surprise £20m move this month. The 29 year old Northern Ireland international has impressed for West Brom this season, and has been the subject of interest from our rivals, Arsenal and Manchester City who want him to bolster their ranks ahead of what promises to be a busy end to the season. The player was agonisingly close to joining City last summer but a deal fell through as the Citizens didn’t match the £30m fee slapped on him by The Baggies. Despite boasting the likes of Bailly, Jones, Smalling, Rojo and Lindelof, Mourinho wants a player to provide competition for his players as some of these players are too injury prone. The player is stalling over a new £100k-a-week deal at The Hawthorns, which has led the Daily Mirror to report that the club may let him go this winter and try to spread his transfer fee on a number of players in a bid to save themselves from relegation. Despite West Brom going over 20 games without winning in the league, Evans has been rock solid, which has not gone unnoticed at the upper echelons of the league table. Evans came through the ranks at United, and made close to 200 appearances for us before being surprisingly sold by Louis Van Gaal for £8m in 2015. He has matured at West Brom consistently showing his experience of playing with better central defender at United. It is yet unclear whether we would shell out the £30m his club are demanding, given that the position is not really a problem area for us. Evans is a left-footed central defender that is also comfortable with his right leg and is known for his determination, intelligence and calmness on the ball. If he comes back to Old Trafford, he will be a good signing for us.